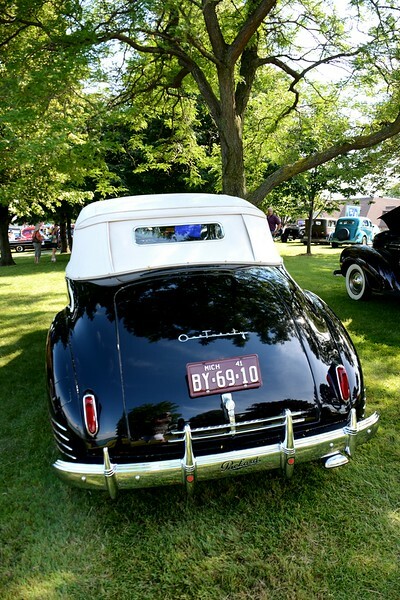 Beautiful bright sunny day for an exciting Classic Car Show in Palmer Park, St. Clair, MI. There were hundreds of unique automobiles to be viewed and talked about when the crowd arrived. Hoods were open, tops were down, windows were open, so that you could see the dash board, instruments, clutch, etc. and the owners were ready to share their stories about restoration challenges and history with everyone. It was an exciting show and the back drop of the St. Clair River & entertainment on the north end of the park was additional enjoyment for all. This was a lot of hard work that gave everyone a lot of fun! Thank you.